August 3rd, 2018- 12:00noon (Pacific Time) Superior Livestock Auction "Video Royale"
STEERS- selling 271hd - 207hd - 6694A,B,C (w/option) & 64hd 6694D HEIFERS -148hd 6694E-F (w/option) - CLICK ME to go to online catalog! 2016 Sale Calves: Photos - CLICK ME! Please continue scrolling to the bottom of this page for Herd Sire and Upcoming Sale information. With the challenges of rising input costs, for both our customers and ourselves, and with our interest in pursuing a sustainable balance between cattle operations and property resource management, our genetic selection criteria is set at a high standard. We look for breeding stock that produces superior carcass qualities and growth, while retaining efficiency and herd health. Heifer selection is a rigorous process with strict parameters for genotypic/phenotypic attributes, performance and health. In partnership with the rigorous genotypic standards we set for our herd, we also scrutinize and sift our mother herd heavily for phenotypic traits. Structural soundness has as much importance in our animal selection and breeding program as do the EPD statistics. 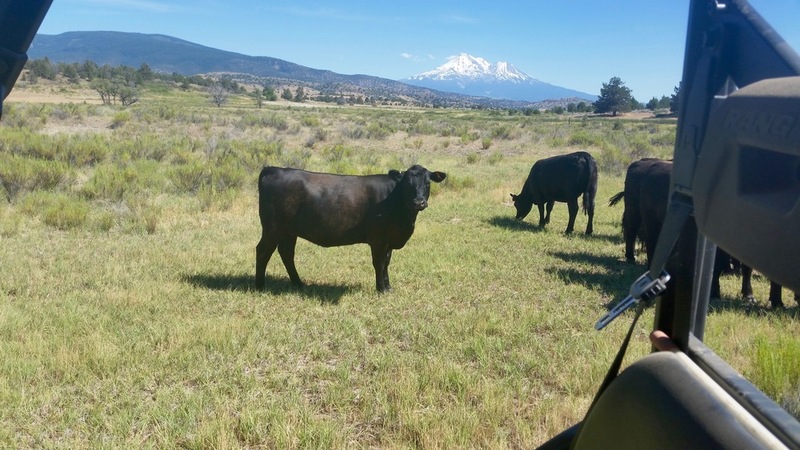 The Hart bull battery is 100% comprised of Registered Black Angus bulls. Please click the link provided below for an Excel spreadsheet which will provide each bulls' name, registration number, and summary EPD's.